Our journey to the position of global authority on fibers and the implementation of them in polymers began in 1921. The Ekus family saw an opportunity to create a use for the large volumes of textile materials that were being used by the growing tire industry in Akron, Ohio. Their creative thinking and hard work developed ways to precision cut these fibers and other textile fabrics for use in a wide variety of engineered products. Post industrial fibers initially included denim slasher and tire cord. Tire cord received RFL treatment in the late 1940's which enhanced the available properties and grew quickly in popularity. These products were primarily used in the automotive, agriculture and heavy equipment industries. As acceptance grew, the company became Victor Gelb and was incorporated in the early 1980's. 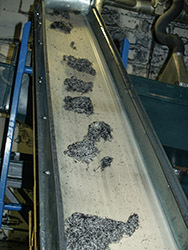 The increasing use of rubber and polymer compounds continued company growth. 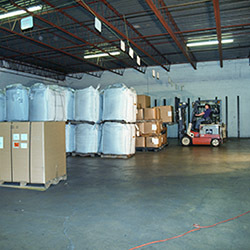 In 2006, it became a member of the DOWCO, LLC. 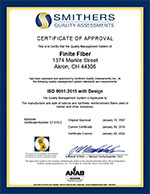 family of companies and the name was changed to Finite Fiber in 2008. What we originally created was a means of using cotton thread waste to improve rubber characteristics. Now we are a company of dedicated professionals who utilize a growing list of engineered fiber products and sophisticated chemistry to transform ordinary rubber into unique compounds for specialized applications. Fiber makes rubber and plastics better! 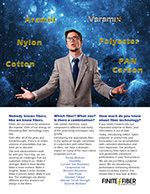 Finite Fiber is innovating fiber technology daily. © 2017 Finite Fiber All rights reserved.